In this review, we will talk about Essential Elements Garcinia Cambogia and provide all available details about this product. This supplement claims to promote weight loss by inhibiting citrate lyase, an enzyme responsible for converting carbohydrates into fats and sugars. With this process, this dietary supplement controls appetite, increases serotonin levels in the brain, and relieves symptoms associated with anxiety, depression, and insomnia. Aside from that, the product’s website also claims that this supplement contains 95% HCA (Hydroxycitric Acid) with no fillers, binders and artificial products. The only ingredient found in this supplement is 1500mg Garcinia Cambogia extract standardized to 95% HCA. This ingredient promotes weight loss by suppressing appetite leading to weight reduction and also helping to speed up metabolism to burn already existing fat. 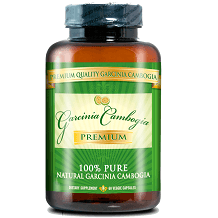 One capsule of this product contains about 800mg of Garcinia Cambogia. It is recommended to be taken twice a day, one before breakfast and another one before dinner for a total of 1500mg per day. As what the current research stands, this dosage seems to be enough for it to be effective in reducing weight. It is also important to remember that your daily dose should not exceed 2400mg. The product label also states that a serving size for this product is 3 capsules, so this is a bit confusing. According to the product’s website, no adverse effects have been reported for this dietary supplement. However, after our thorough research, we were able to find out that this product might cause some gastrointestinal problems to those who are taking it. Aside from that, other possible side effects may also include headaches, diarrhea, dizziness and nausea. Those who have pre-existing medical conditions, as well as pregnant or lactating women should consult a health care practitioner before taking the product. 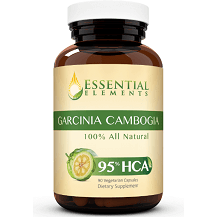 One bottle containing 30 capsules of Essential Element’s Garcinia Cambogia is available for an online purchase of $43.95 excluding shipping fee. Multiple purchases on the product’s website will also grant you some discounts plus free shipping. The product comes with a whole year (365 days) money-back guarantee. You will be given a refund excluding the shipping fee if you return your purchased item within the desired timeframe. Used and unused bottles will be accepted, with a limit of two unused bottles per return. However, it is very important to remember that a 15% return processing fee will be charged on the total refunded amount. The product’s 365-day money back guarantee for both opened and unopened bottles might be good news to those who are not so sure with the product. Plus, it contains natural ingredients which makes it more appealing to those who are seeking an all-natural way to lose weight. But the product seems to lack some solid reviews from other websites and from previous buyers which makes it almost impossible to gauge if the product works well for others. Additionally, the manufacturer’s website has not shared the possible side effects this product might cause and this might create some concerns for others who want to be fully assured when buying this product. The product also seems to be a bit pricey compared to other similar items.